engraved with precision and care. Edgewood Monuments is a proud family-owned business with a focus on excellent customer service and custom upright headstones, flat cemetery markers, granite memorials, slant gravestones, as well as maintenance, cleaning & restoration, installation and other services located in Puyallup, Washington. We serve cemeteries in all of Washington and northern Oregon; from Portland through Olympia; Tacoma through Federal Way; Sumner, Puyallup up through Seattle, Everett and further north. "The prices were the most reasonable that I could find in the PNW and it was done very quickly I think maybe only 2 weeks." - Danielle B. "I highly recommend Edgewood Monuments... very attentive to our design needs... The finished monument was beautiful. "- Dalyce M.
"I just had my mom's monument installed, and am so grateful for an excellent service and quality of the monument. Highly recommend." - Olga D.
"They went above & beyond to design a special monument for us. It turned out more beautiful than we even imagined..." - Margaret P.
"Got us taken care of, made us exactly what we asked for. Our laser etched portrait turned out more beutiful than expected. "- Grisha Z. "Our family bought an upright headstone for my grandpa with a portrait. We got a great deal and everyone really liked the way it turned out!" - Mark G.
"Countless designs, colors and stones to choose from, very knowledgeable. I thought buying a headstone would have been more expensive." - Sara A. "Worked with my many design changes for our granite headstone, was very accomodating and understanding. Great price, great work." - Gerardo M.
"I was on a budget and received a very high quality companion memorial, the delivery speed was very quick and the designs were amazing." 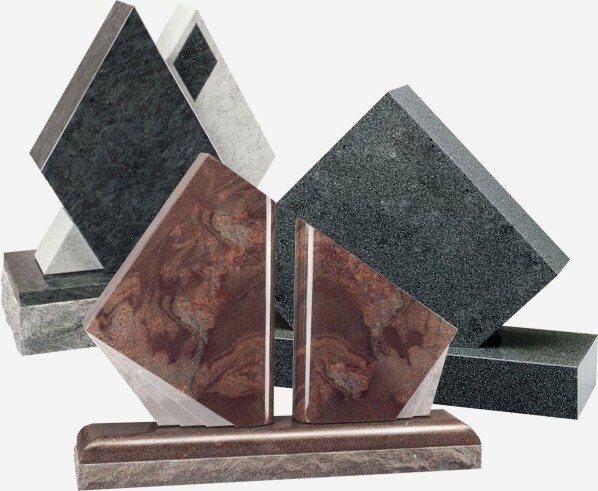 - Foster C.
Countless design options, crisp and clear etching, and many granite types to choose from allows you to design the perfect monument to remember your loved one. Three generations of craftsmen who’ve continued to expand and pass down their knowledge through our family business. An ever-increasing passion for quality craftsmanship gives you stunning, high-definition, lifelike, and durable works that match your needs. We do is blend dedication, artistry, and craftsmanship to offer outstanding headstones at reasonable rates.